There are many reliable shipping and packing companies in NYC. However, when it comes to shipping fine art and antiques, not all of them can handle such a task. Sometimes, the cargo can be too valuable, too heavy, or too big to entrust the transportation process to regular freight shippers. In such a case, only specialized fine art shipping and packing companies can provide you with all the services you need. For over two decades, Fine Art Shippers has been picking up, packing, crating, shipping, and delivering just about anything, to anywhere. However, while we can easily handle any task, from shipping electronics to moving heavy equipment, the truth is that our team, first and foremost, specializes in the transportation of art and antiques. Moreover, for today, we are one of the best full-service fine art shipping and packing companies in NYC, which can be confirmed by many reputable collectors, artists, galleries, auction houses, and other art business professionals who rely on us to safely pack and move their valuables both across the United States and around the world. What items can we ship for you? As one of professional fine art shipping and packing companies, we have already shipped numerous paintings, drawings, statues, figurines, sculptures, and other works of art, with values into the millions of dollars. Moreover, we not only ship art and antiques, but we also provide a variety of other related services, including custom packing and crating, art storage, white glove courier delivery, art insurance, art installation, art shuttles, and many others. 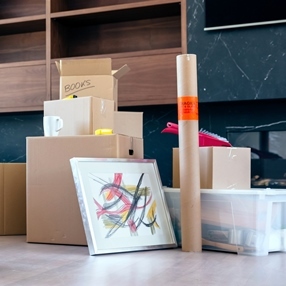 This all makes Fine Art Shippers one of the best full-service shipping and packing companies in NYC, so you can confidently rely on our team to solve any of your fine art moving problems. What is no less important, all art shipping services that we offer are very competitively priced, making Fine Art Shippers a smart choice in case you have a limited budget. Whatever the task, we will find the most efficient and cost-effective solution to meet your needs and requirements!